Raw cacao is somewhat different from the common “Cocoa” most of us grew up with. Cacao (pronounced “cu-COW”) refers to the Theobroma Cacao tree from which Cocoa is derived, and is used when referring to unprocessed versions of the cacao bean. 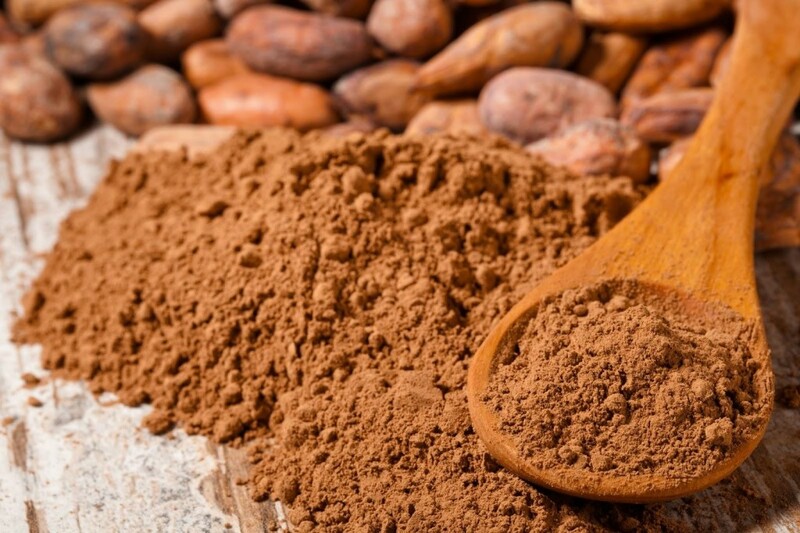 Normal cocoa powder and chocolate have been chemically processed and roasted, which destroys a large amount of the antioxidants and flavanols (the things that keep you young and healthy). Cacao powder contains flavonoids, which are known to help lower blood pressure and improve blood flow to the brain and heart. With fewer than 15 calories per tablespoon and containing almost no fat, cacao provides a strong chocolate flavor without the guilt. So when those PMS cravings hit ladies, rather reach for the real deal stuff. But make sure to read the label carefully before buying. 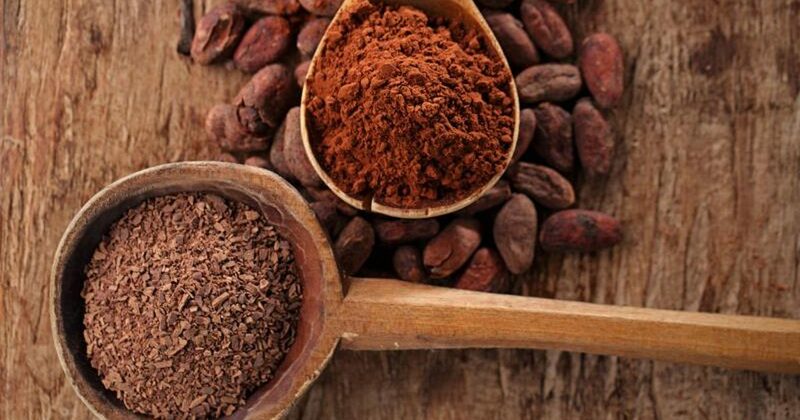 If you ever see the terms ‘Dutch’ or ‘alkalized cocoa’, that means the powder has been processed, and up to 90 percent of the antioxidants are gone. When you’re buying, choose the raw or non-alkalized version, which contains all the good phytochemicals and antioxidants. Ideal for vegetarians needing an alternative source for Iron – Cacao is the highest plant-based source of iron known to man, with 7.3mg per 100g. This compares to beef and lamb at 2.5mg, and spinach at 3.6mg. Iron in cacao is non-heme (as is all plant-based iron), so to get the maximum benefits you’ll want to combine it with some vitamin C. Think oranges, kiwifruit, superfoods like gubinge or camu camu (which have 40x more vitamin C than oranges). Raw Organic Cacao is also one of the highest plant-based sources of magnesium, the most deficient mineral in the Western world. Magnesium is important for a healthy heart, and helps turn glucose into energy enabling your brain to work with laser-sharp clarity and focus – the reason why you might turn to a bar of chocolate when burning the midnight oil. Raw Organic Cacao has more calcium than cow’s milk would you believe, at 160mg per 100g vs only 125mg per 100ml of milk. So you’d do better to switch out the trim latte for a couple of squares of dairy free raw chocolate. Cacao is a great source of four scientifically proven bliss chemicals – serotonin, dopamine, anandamide and phenylethylamine. These neurotransmitters are associated with cosy feelings of wellbeing, happiness, and can even alleviate depression. A natural, healthy, delicious (and legal) way to get your happy buzz on.